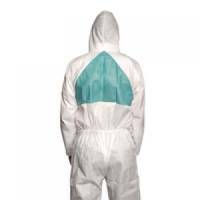 3M Basic Protective Coverall Medium 4520M Pack of 1 3M 4520 Protective Coverall. Made from breathable material. 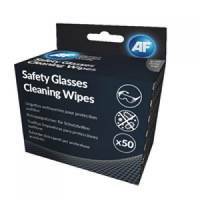 Offers CE category III, type 5/6 protection against dust and limited liquid chemical splash. Features elasticated hood, waist, cuffs and ankles and a two way zip. Size: Medium. 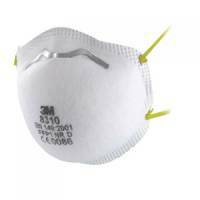 3M FFP1 Unvalved Disposable Cup Respirator (Pack of 10) 8310 Pack of 1 3M 8310 Cup-Shaped Respirator FFP1NR D. Protects against low levels of dusts and water and oil based mists found in a wide variety of industrial applications and other work situations requiring FFP1 protection. 3M Optime II Peltor Ear Defenders XH001650627 Pack of 1 3M Optime ll Peltor Ear Muffs. Developed for demanding noisy environments, and muffles even extremely low frequencies to a maximum degree. Optimum seal with low contact pressure. Ventilation channels covered with soft, patterned, hygienic foam. 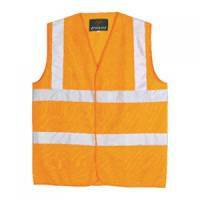 Hi-Viz Vest Orange EN ISO 20471 Medium WCENGORM Pack of 1 Proforce Hi Viz Waistcoat. EN471 Class 2 visibility. Velcro fastening front. 120g knitted reflective fabric with 50mm wide reflective tape. CE marked EN471 and EN340. Colour Orange. Size Medium. Hi-Viz Vest Orange EN ISO 20471 Large WCENGORL Pack of 1 Proforce Hi Viz Waistcoat. EN471 Class 2 visibility. Velcro fastening front. 120g knitted reflective fabric with 50mm wide reflective tape. CE marked EN471 and EN340. Colour Orange. Size Large. 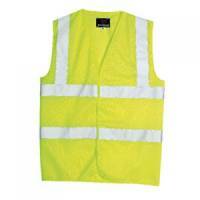 Hi-Viz Vest Orange EN ISO 20471 XL WCENGORXL Pack of 1 Proforce Hi Viz Waistcoat. EN471 Class 2 visibility. Velcro fastening front. 120g knitted reflective fabric with 50mm wide reflective tape. CE marked EN471 and EN340. Colour Orange. Size Extra Large. 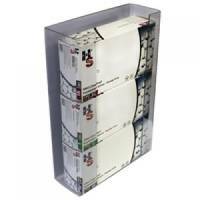 Shield Clear Triple Disposable Glove Dispenser (Pack of 2) GE/TGD Pack of 1 Shield Triple Glove Box Dispenser. Wall mounted dispenser provides a hygienic method of dispensing disposable gloves and keeps work surfaces free. Supplied with fixings. 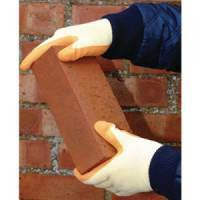 Shield Rubber Coat/Knit Glove Size 9 Orange GI/RC2 Pack of 1 Excellent wet or dry grip. Polyco Crisscross Gripper Glove Size 10 CSP156/MNS Pack of 1 Polyco Gripper Glove. Ideal for construction and general handling applications. Excellent wet or dry grip. Supplied on a header card. Conforms to EN420. Orange. Size 10. 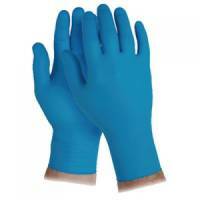 Kleenguard G10 Artic Blue Small Pack 200 Pack of 1 A range of Nitrile Gloves suitable for general purpose use. Kimberly-Clark Kleenguard G10 Medium Arctic Blue Nitrile Gloves Box 200 Pack of 1 Gloves are Latex and Powder free. Kimberly-Clark Kleenguard G10 Large Blue Gloves Box 200 Pack of 1 Nitrile Gloves suitable for general purpose use.